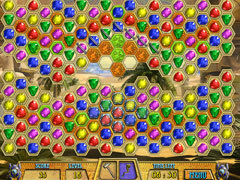 Take part in this addictive and thrilling jewel adventure and discover Cleopatra's treasures! The Egyptian ruler, Cleopatra, celebrated for her beauty and intelligence, reveals her mysteries to you. 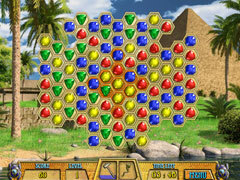 Take part in this addictive and thrilling jewel adventure and discover Cleopatra’s treasures! 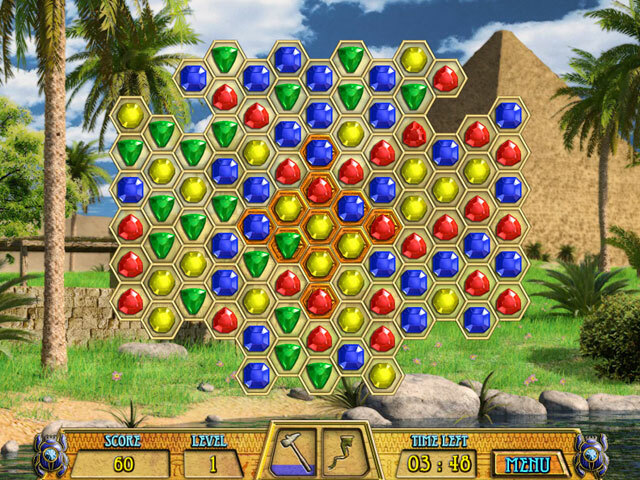 The objective of this game is to destroy all stone tiles. Form a chain of three or more figures of the same color by clicking one then dragging it to adjacent figures of the same color, causing them all to disappear. 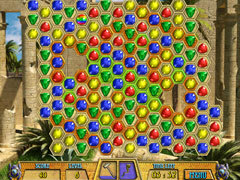 Any stone tiles under a figure from the chain will then be destroyed. Enjoy the fantastic graphics, melodic soundtrack, many challenging levels and uniquely fun bonuses in this exciting matching game! -Fresh and beautiful style, bright and vibrant graphics & effects!